More than 20 years after the discovery of the hepatitis C virus (HCV), it is now well established that HCV is of global importance affecting all countries, leading to a major global health problem that requires widespread active interventions for its prevention and control. Chronic hepatitis C was linked to the development of cirrhosis and hepatocellular carcinoma in many areas of the world. In the Philippines, more than half a million have hepatitis C, says a report in Medical Observer, a Philippine-based medical and health online publication. 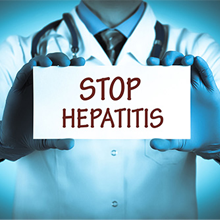 This makes chronic Hepatitis C one of the most challenging infectious diseases to manage. In a move to make the treatment for Hepatitis C, world’s biggest pharmaceutical companies like Cipla, Natco, Hetero, Abbott, Dr. Reddy, Lupin, MyLan, Ranbaxy, Strides Arcolab, Biocon etc. have launched some effective HCV medicines. The goal of these medicines are to reduce the risk of complications, including premature death. Medication can help to prevent cirrhosis, liver failure and liver cancer by reducing hepatitis B viral load and the loss of HBeAg (either with or without detection of anti-HBe) while improving liver enzyme levels.